I have mentioned it before, but I will say it again. My name is Cheryl and I hoard fonts. I want them all. I NEED them all. Grab these 15 new free Halloween fonts that give me all the heart eyes right now…well skull eyes I guess! 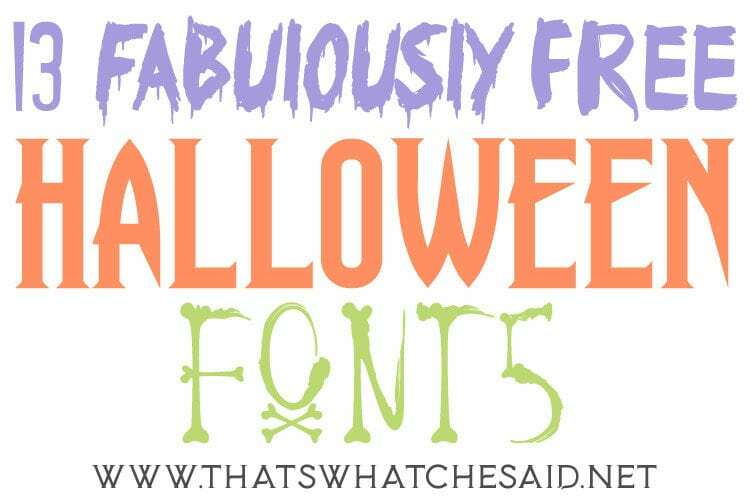 These fonts are great for Halloween Invitations, Flyers, Banners, printables and more. I, of course, picked my favorites but if you want to browse yourself here are my favorite sites for free fonts. What does free for personal use mean? These fonts are free for personal use only. What does that mean? It means you can use them for your arts and craft projects, invites and printables that you are using for your own use. If you want to create something to sell such as personalized invitations for others, SVG files, etc. you must purchase the commercial license. You can find that info on each font page below. The world is your oyster! I have used free Halloween fonts for printables such as this Halloween Subway Art and this Trick or Treat Halloween Printable. 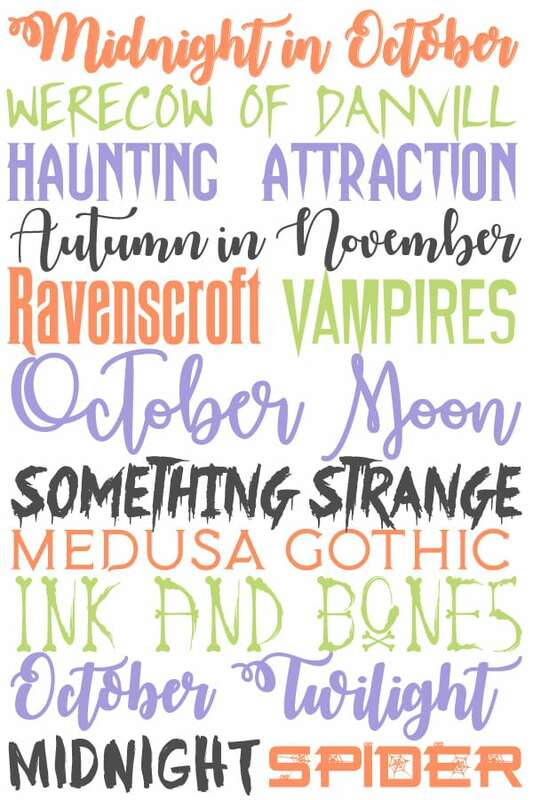 You can also use these fonts for a Halloween invitation or flyer about a Halloween event. You can use these fonts to create signs using vinyl, shirts using iron on or even cut out and use as a stencil for your projects! You can use them in Cricut Design Space and Silhouette Studio to use for your crafty projects! How do I Install Halloween Fonts on my computer? It’s simple! Click here for font installation directions for a PC. My friend Cori shows you how to install on a Mac here. I love me some free font but here are also a few of my favorites for purchase! Always remember to purchase a commercial license if you are using these in projects for sale. Slime — this one is so cool! You can find all my free font collections here!